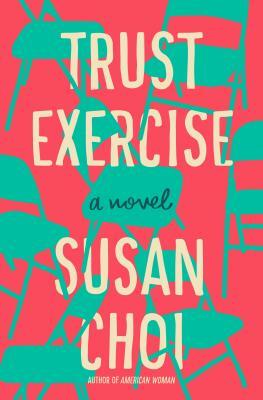 A welcome Elliott Bay return is made this evening by acclaimed novelist Susan Choi, here for fifth novel, Trust Exercise (Henry Holt & Co.). Cited as a ‘most anticipated book of 2019’ Buzzfeed, Entertainment Weekly, New York Magazine, Electric Literature, The Millions, PopSugar, The Philadelphia Inquirer, Publisher's Weekly, Lit Hub, Bustle, and The Huffington Post, this is a compelling coming-of-age story of two young people in a U.S. suburb in the 1980s. "What begins as the story of obsessive first love between drama students at a competitive performing arts high school in the early 1980s twists into something much darker in Choi's singular new novel . . . an effective interrogation of memory, the impossible gulf between accuracy and the stories we tell. . . . The writing (exquisite) and the observations (cuttingly accurate) make Choi's latest both wrenching and one-of-a-kind. Never sentimental; always thrillingly alive." —Kirkus Reviews. "Superb, powerful . . . Choi’s themes—among them the long reverberations of adolescent experience, the complexities of consent and coercion, and the inherent unreliability of narratives—are timeless and resonant. Fiercely intelligent, impeccably written, and observed with searing insight, this novel is destined to be a classic." —Publishers Weekly.